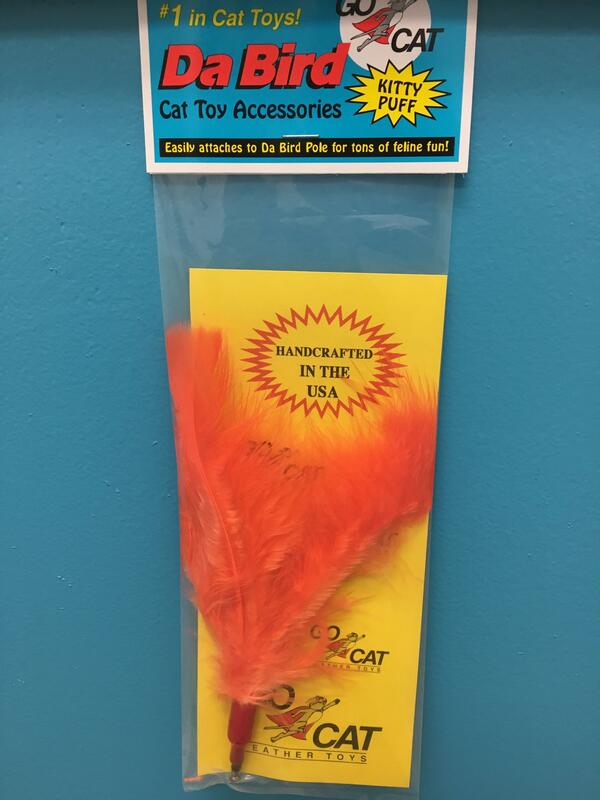 The Feline Flyer, the ultimate feather toy! Play daily! Multiple times a day is ideal! Cats are built to expel energy in short bursts so you do not need to play for an hour, 5-10 minutes is perfect! 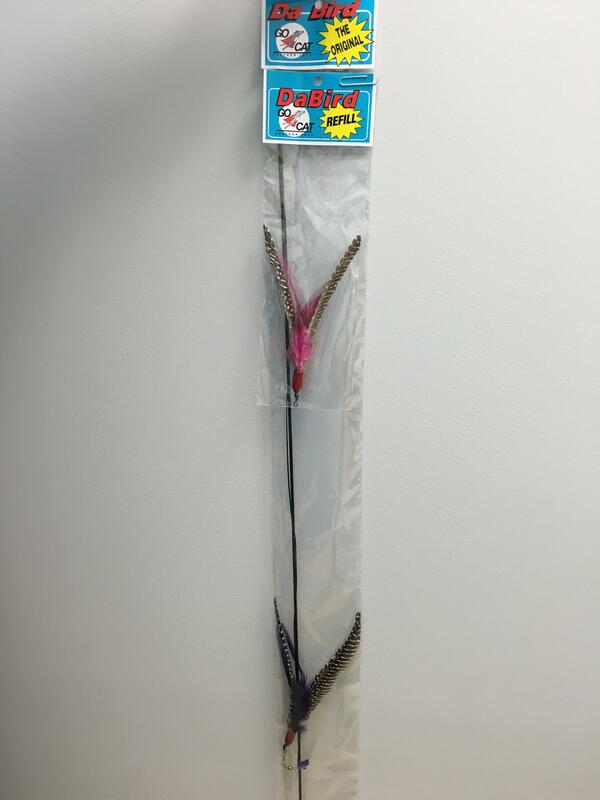 Puff Feather attachment option shown below. 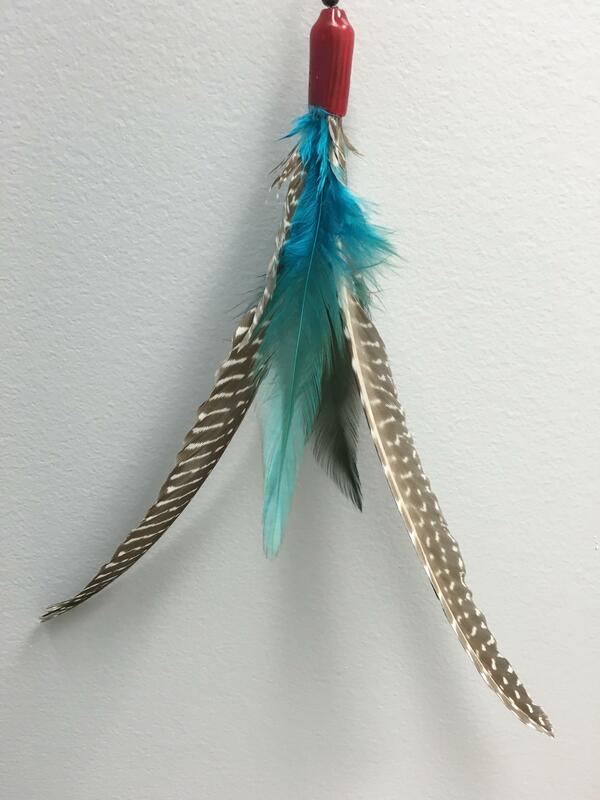 Puff feather attachment also available.